Bradley Skinner received his B.Eng. Computer Systems Engineering with First Class Honors and PhD degree in the field of Machine Learning, Parallel Distributed Computing and Biomedical Systems from the University of Technology Sydney (Australia) in 2002 and 2007 respectively. 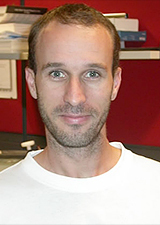 He joined the UTS node of the ARC Centre of Excellence in Autonomous Systems as a Research Fellow in 2009 and is currently a Senior Research Fellow with the Australian Centre for Autonomous Systems, School of Electrical, Mechanical and Mechatronic Systems at UTS. Bradley is currently the Senior Research Engineer on several industry driven projects investigating the challenges in perception, 3D/2.5D modelling and the application of parallel and distributed machine learning techniques on national infrastructure maintenance, brain-computer interface systems and trait estimation of biological systems in agriculture. My research interests are focused on machine learning, data mining, computational intelligence, evolutionary computation, learning classifier systems, parallel and distributed computing systems, perception and robotics. Bradley has been employed by global telecommunications, Internet and computing corporations to work on large projects with national and global scope. Bradley has contributed at various machine learning, biomedical and robotics international conferences. Presenting research findings and acting as reviewer. Bradley has also reviewed several Phd and Master theses in machine learning, robotics and biomedical systems. This paper presents a machine-learning-based approach for the structural health monitoring (SHM) of in-situ timber utility poles based on guided wave (GW) propagation. The proposed non-destructive testing method combines a new multi-sensor testing system with advanced statistical signal processing techniques and state-of-the-art machine learning algorithms for the condition assessment of timber utility poles. Currently used pole inspection techniques have critical limitations including the inability to assess the underground section. GW methods, on the other hand, are techniques potentially capable of evaluating non-accessible areas and of detecting internal damage. However, due to the lack of solid understanding on the GW propagation in timber poles, most methods fail to fully interpret wave patterns from field measurements. The proposed method utilises an innovative multi-sensor testing system that captures wave signals along a sensor array and it applies machine learning algorithms to evaluate the soundness of a pole. To validate the new method, it was tested on eight in-situ timber poles. After the testing, the poles were dismembered to determine their actual health states. Various state-of-the-art machine learning algorithms with advanced data pre-processing were applied to classify the poles based on the wave measurements. It was found that using a support vector machine classifier, with the GW signals transformed into autoregressive coefficients, achieved a very promising maximum classification accuracy of 95.7±3.1% using 10-fold cross validation on multiple training and testing instances. Using leave-one-out cross validation, a classification accuracy of 93.3±6.0% for bending wave and 85.7±10.8% for longitudinal wave excitation was achieved. This paper proposes a new crossover operator called two-part chromosome crossover (TCX) for solving the multiple travelling salesmen problem (MTSP) using a genetic algorithm (GA) for near-optimal solutions. We adopt the two-part chromosome representation technique which has been proven to minimise the size of the problem search space. Nevertheless, the existing crossover method for the two-part chromosome representation has two limitations. Firstly, it has extremely limited diversity in the second part of the chromosome, which greatly restricts the search ability of the GA. Secondly, the existing crossover approach tends to break useful building blocks in the first part of the chromosome, which reduces the GAâs effectiveness and solution quality. Therefore, in order to improve the GA search performance with the two-part chromosome representation, we propose TCX to overcome these two limitations and improve solution quality. Moreover, we evaluate and compare the proposed TCX with three different crossover methods for two MTSP objective functions, namely, minimising total travel distance and minimising longest tour. The experimental results show that TCX can improve the solution quality of the GA compared to three existing crossover approaches. This paper proposes a practical job grouping approach, which aims to enhance the time related performance metrics of container transfers in the Patrick AutoStrad container terminal, located in Brisbane, Australia. It first formulates a mathematical model of the automated container transfers in a relatively complex environment. Apart from the consideration on collision avoidance of a fleet of large vehicles in a confined area, it also deals with many other difficult practical challenges such as the presence of multiple levels of container stacking and sequencing, variable container orientations, and vehicular dynamics that require finite acceleration and deceleration times. The proposed job grouping approach aims to improve the makespan of the schedule for yard jobs, while reducing straddle carrier waiting time by grouping jobs using a guiding function. The performance of the current sequential job allocation method and the proposed job grouping approach are evaluated and compared statistically using a pooled t-test for 30 randomly generated yard configurations. The experimental results show that the job grouping approach can effectively improve the schedule makespan and reduce the total straddle carrier waiting time. Task allocation and motion coordination are the main factors that should be consi-dered in the coordination of multiple autonomous vehicles in material handling systems. Presently, these factors are handled in different stages, leading to a reduction in optimality and efficiency of the overall coordination. However, if these issues are solved simultaneously we can gain near optimal results. But, the simultaneous approach contains additional algorithmic complexities which increase computation time in the simulation environment. This work aims to reduce the computation time by adopting a parallel and distributed computation strategy for Simultaneous Task Allocation and Motion Coordination (STAMC). In the simulation experiments, each cluster node executes the motion coordination algorithm for each autonomous vehicle. This arrangement enables parallel computation of the expensive STAMC algorithm. Parallel and distributed computation is performed directly within the interpretive MATLAB environment. Results show the parallel and distributed approach provides sub-linear speedup compared to a single centralised computing node. This paper presents a novel robust processing methodology for computing 2.5D thickness maps from dense 3D collocated surfaces. The proposed pipeline is suitable to faithfully adjust data representation detailing as required, from preserving fine surface features to coarse interpretations. The foundations of the proposed technique exploit spatial point-based filtering, ray tracing techniques and the Robust Implicit Moving Least Squares (RIMLS) algorithm applied to dense 3D datasets, such as those acquired from laser scanners. The effectiveness of the proposed technique in overcoming traditional angular aliasing and corruption artifacts is validated with 3D ranging data acquired from internal and external surfaces of exhumed water pipes. It is shown that the resulting 2.5D maps can be more accurately and completely computed to higher resolutions, while significantly reducing the number of raytracing errors when compared with 2.5D thickness maps derived from our current approach. The main contribution of this paper is a mathematical model describing performance metrics for coordinating multiple mobile robots in a seaport container terminal. The scenario described here requires dealing with many difficult practical challenges such as the presence of multiple levels of container stacking and sequencing, variable container orientations, and vehicular dynamics that require finite acceleration and deceleration times. Furthermore, in contrast to the automatically guided vehicle planning problem in a manufacturing environment, the container carriers described here are free ranging. Although, the port structure imposes a set of âvirtualâ roadways along which the vehicles are allowed to travel, path planning is essential in preventing contention and collisions. A performance metric which minimises total yard-vehicle usage, while producing robust traffic plans by encouraging both early starting and finishing of jobs is presented for different vehicle fleet sizes and job allocation scenarios. This paper investigates the efficacy of the geneticbased learning classifier system XCS, for the classification of noisy, artefact-inclusive human electroencephalogram (EEG) signals represented using large condition strings (108bits). EEG signals from three participants were recorded while they performed four mental tasks designed to elicit hemispheric responses. Autoregressive (AR) models and Fast Fourier Transform (FFT) methods were used to form feature vectors with which mental tasks can be discriminated. XCS achieved a maximum classification accuracy of 99.3% and a best average of 88.9%. The relative classification performance of XCS was then compared against four non-evolutionary classifier systems originating from different learning techniques. The experimental results will be used as part of our larger research effort investigating the feasibility of using EEG signals as an interface to allow paralysed persons to control a powered wheelchair or other devices. This paper investigates the hybridisation of two very different optimisation methods, namely the Parallel Genetic Algorithm (PGA) and Sequential Quadratic Programming (SQP) algorithm. The different characteristics of genetic-based and traditional quadratic programming-based methods are discussed and to what extent the hybrid method can benefit the solving of optimisation problems with nonlinear complex objective and constraint functions. Experiments show the hybrid method effectively combines the robust and global search property of Parallel Genetic Algorithms with the high convergence velocity of the Sequential Quadratic Programming Algorithm, thereby reducing computation time, maintaining robustness and increasing solution quality. This paper presents an investigation into combining migration strategies inspired by multi-deme parallel genetic algorithms with the XCS learning classifier system to provide parallel and distributed classifier migration. Migrations occur between distributed XCS classifier sub-populations using classifiers ranked according to numerosity, fitness or randomly selected. The influence of the degree-of-connectivity introduced by fully-connected, bi-directional ring and uni-directional ring topologies is examined. Results indicate that classifier migration is an effective method for improving classification accuracy, improving learning speed and reducing final classifier population size, in the single-step classification of noisy, artefact- inclusive human electroencephalographic signals. The experimental results will be used as part of our larger research effort investigating the feasibility of using EEG signals as an interface to allow paralysed persons to control a powered wheelchair or other devices.